So, when it comes to Valentine's Day, what do you like to receive from your sweetheart? 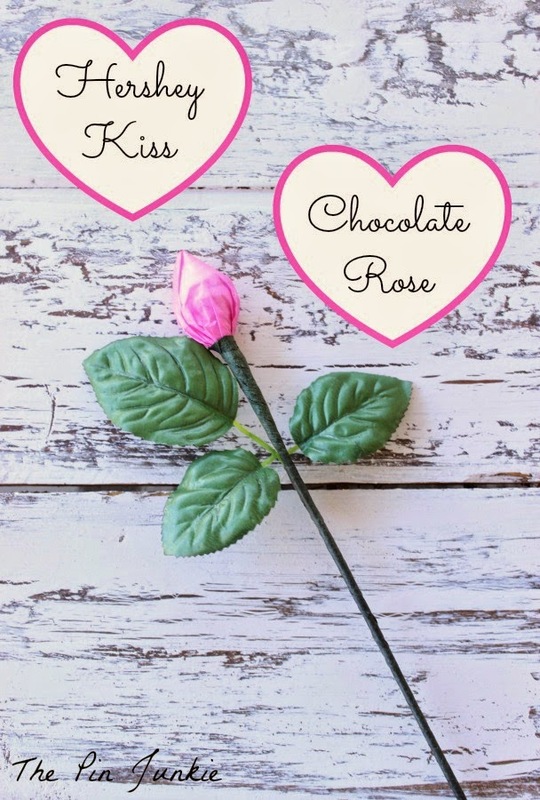 Chocolates and roses are always popular gifts and this Hershey's kiss chocolate rose combines both! 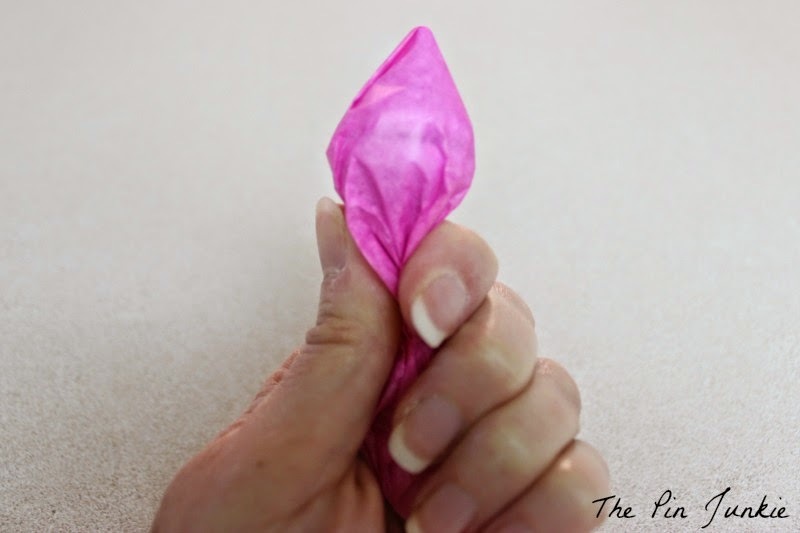 Cut a square piece of tissue paper about five inches wide on each side. 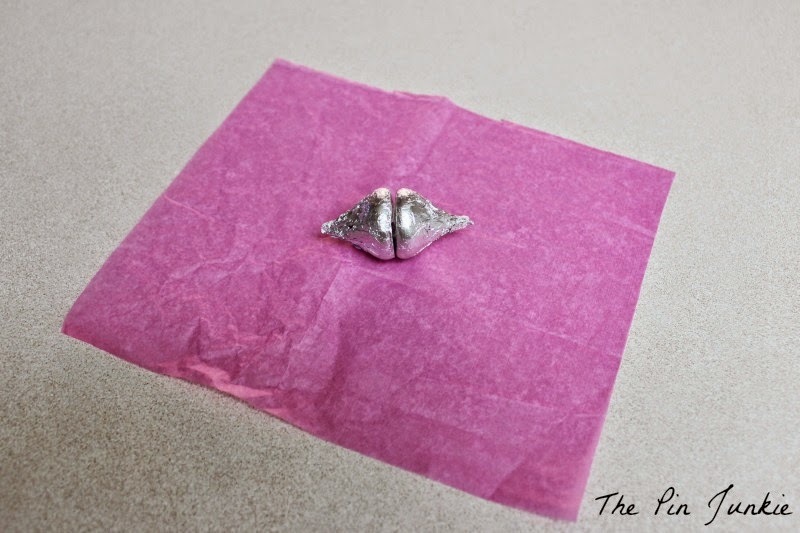 Tape the flat ends of two Hershey kisses together. 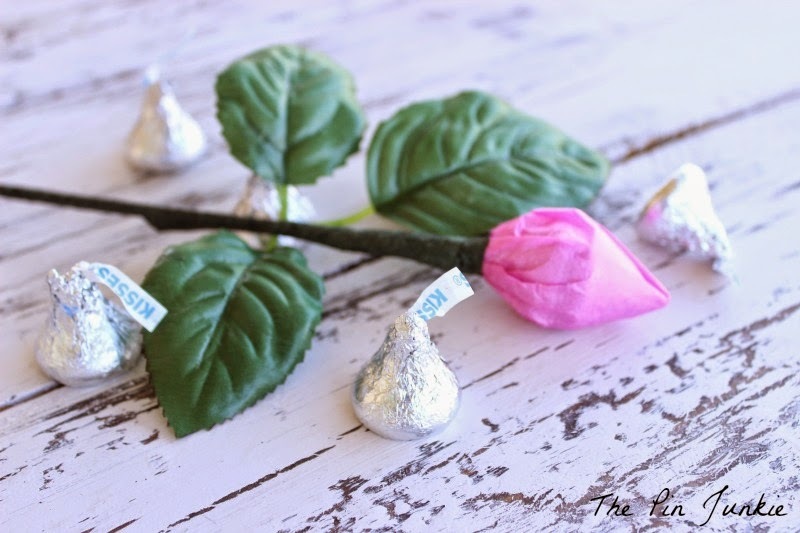 Place the kisses in the center of the tissue paper. 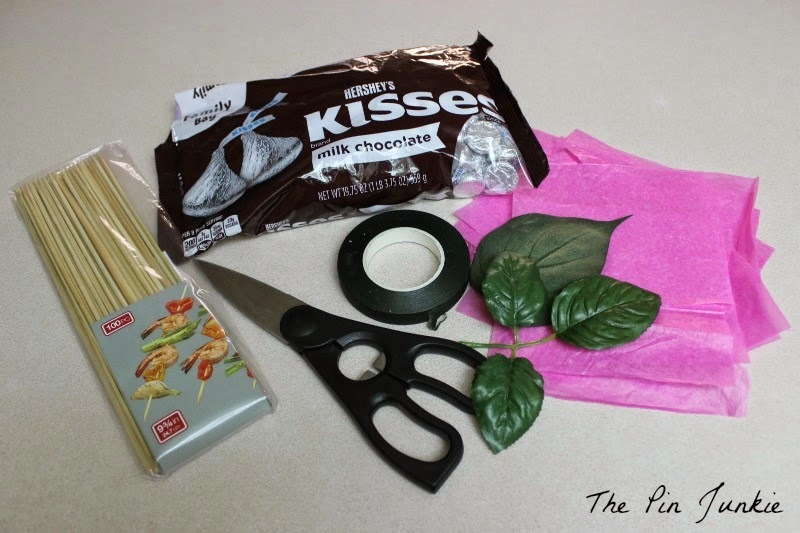 Wrap the paper around the kisses. 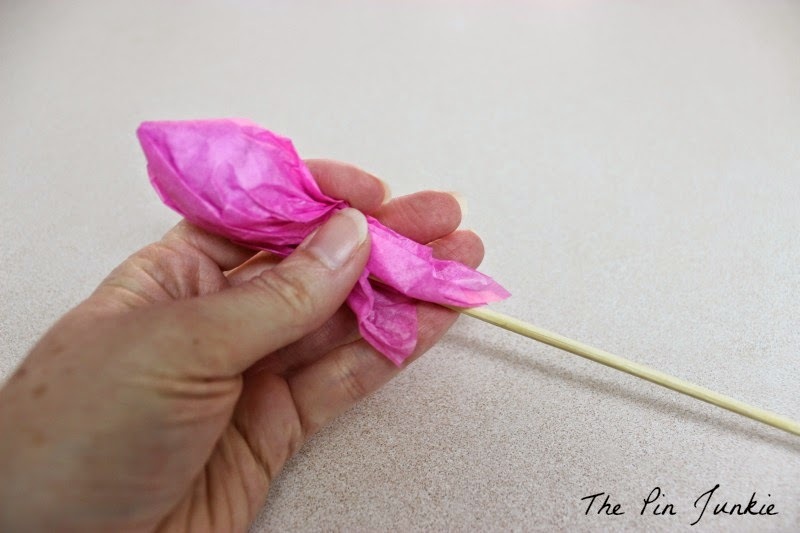 by wrapping floral tape around the paper and skewer. in floral tape to finish the stem. You'll have a beautiful rose when you're all finished! Red roses are traditional for Valentines day, but pink ones are my favorite! who are participating in the monthly Make It challenge! 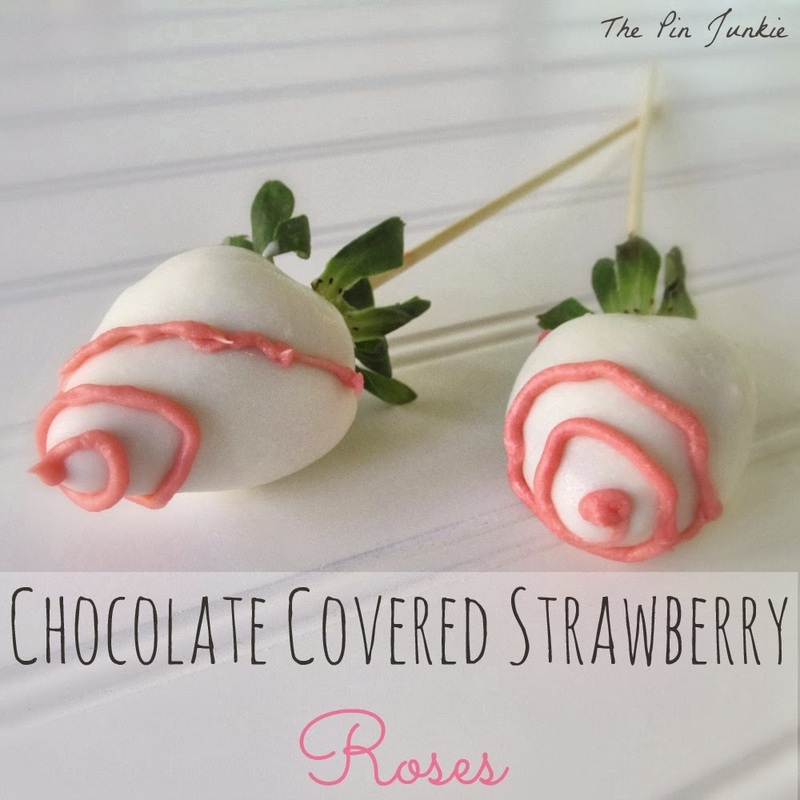 More edible roses for Valentines Day! Hershey's kiss chocolate rose inspired by this pin and this pin. So, so cute and yummy to boot!!! 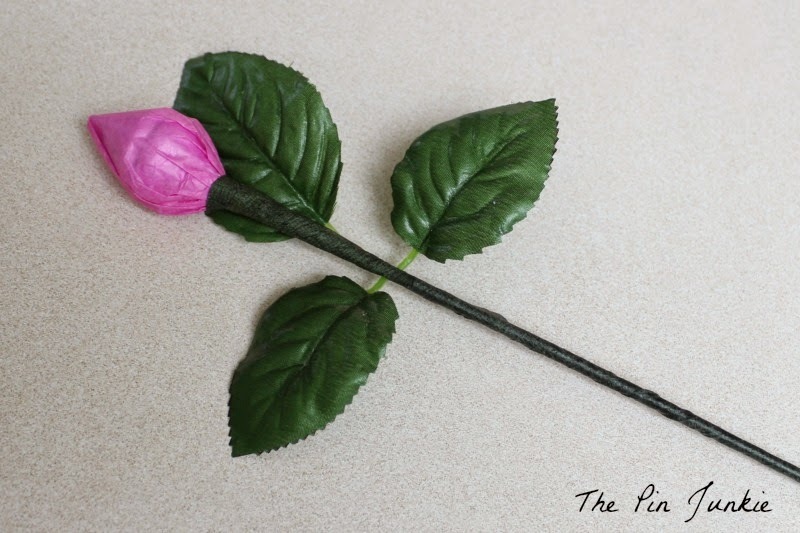 How fun would it be to make a bouquet of these for the children's teachers? Love it! 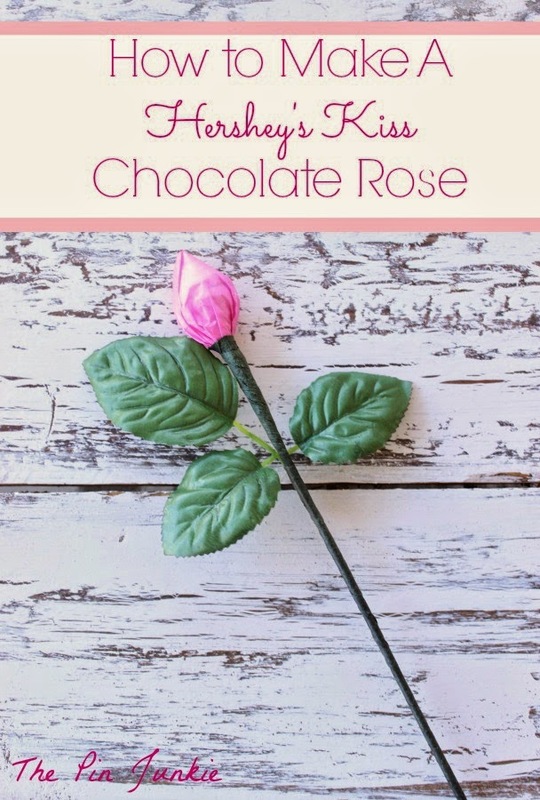 That's awesome that you combined the chocolate and roses together, and probably saved a good chunk of money while making an adorable craft. I would love to receive a "bouquet" of these! What a simple, cute idea! I totally love this!! This is really cute. Great job!! Great job. These look really cute! These are a fantastic idea, my daughter and her friends are raising money for their Prom. I'll suggest they make these to take to school to sell. Great idea! You make it look so easy! What a cute idea and so much easier to make than I expected. A bouquet of a dozen of these would be what I would want!! Visiting from the Wonderful Wednesday Blog hop. Very cute idea! Love it! I have a lot of take-out food wooden chopsticks in my home. I bet those can be used for the stem, too! Thanks for sharing! Super cute idea! Love things that can be whipped up in a hurry like this. Thanks for sharing with SYC. Always love your ideas Bonnie. You're so clever. Thanks for linking up to Thriving on Thursdays. I'm featuring this at a special Valentine's Day round up going live tomorrow. Adorable! What a fun idea. I'll have to make one of these for my daughter. She would love it. Such a great idea!! I'd love for you to share it at Simple & Sweet Fridays this week!! Have a great day! great idea and efficient, two things I love:) #makeit TCK love! This is so cute! And I love how simple it is to make. Thank you for sharing at Inspire Me Wednesday. Featuring you in this week's issue. 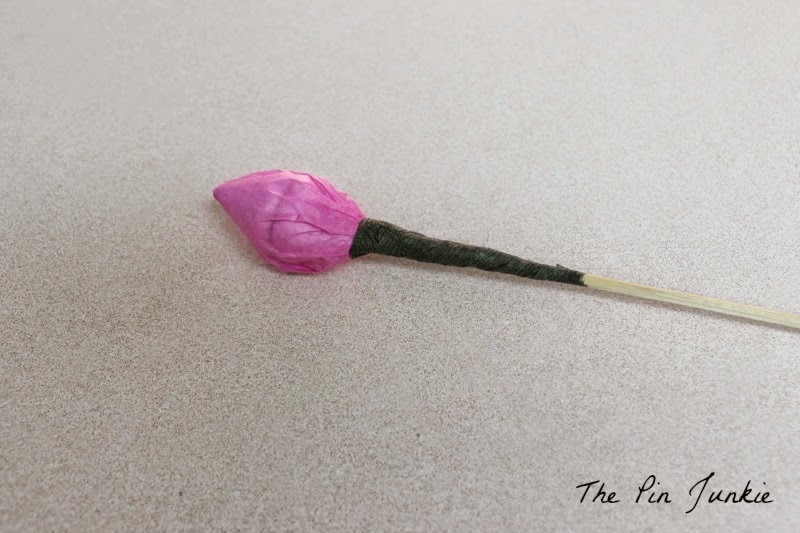 Popping back to let you know this post is a pick of the week on my post Receiving Roses for SYC Thursday. Great project. Super instructions.